Picking the right contractor could be the most important part of the furnace or air conditioner buying process yet most people don’t ask enough questions to make sure the contractor is properly qualified and experienced for the installation. Be sure to check with your community to be sure the contractor has the proper license and that the Technicians are certified by the manufacturer and the North America Technician Excellence testing group (www.natex.org). Also that the company has appropriate liability and workman’s compensation insurance. 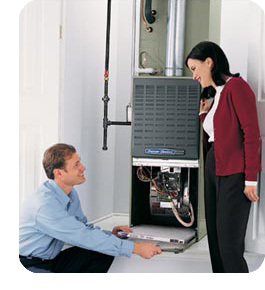 When you’re shopping for a new gas furnace or central air conditioner, you should always get more than one estimate. Select two or three contractors with excellent reputations in your area. Ensure that each estimate is written on a proper form and always take the time to review and compare the quality of the equipment and warranties offered. 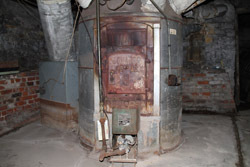 Does the estimate include the removal of old equipment and materials? Are permits included in the estimate? Be sure to pay attention to the Sales Consultant or Technician to see how knowledgeable and professional they are. How long have they been in the business? Did they explain all of the rebates that are available for your system? Your experience with the Sales Consultant could be a good indicator as to what type of service to expect from that contractor later on. You should always select a contractor that promotes the quality of their installation service and equipment at reasonable rates, rather than just picking the one that offers the lowest price. The lowest price does not necessarily mean the best value. For example, the less expensive contractor might not offer valuable services such as 24-hour emergency response or maintenance and service agreements after the installation. Other items may also be missing from the quote. The purchase price should not be the only important factor in your decision. The noise level of your new system is something you will have to live with every day, while the energy efficiency of the system will determine how much your heating or cooling costs will be (energy efficiency is determined by the SEER ratings – be sure the Sales Consultant fully explains what these numbers mean). Choosing the right product for your lifestyle and length of time you will be in the home will allow you to live comfortably and save money. It is important to fully understand the warranty that is being provided by each contractor. You should always inquire if the warranty covers parts only or both parts and labor. Also ask if there any extra charges above and beyond the warranty coverage, such as an after-hours service labor charge. Always ensure that the contractor provides you with a written warranty form for your records. Some contractors only have in house warranties which are only as good as the contractor or as long as he is in business. Be sure to select a contractor that has been in business for at least 10 years, which means they are more likely to be in business to honor your warranty. The contractor you deal with should always have public liability and property damage insurance. If sub-contractors are utilized, the contractor should also have the proper liability insurance. If the contractor isn’t insured, you could be held fully responsible for any damages to the equipment or your home during the installation process as well as any medical costs if an installer is hurt on the job. Always make sure the contractor has coverage for their employees with workman’s compensation insurance. Are all the employees drug tested and are their backgrounds checked? If a deposit is required, it should never be more than 25% of the total job and all payments should be made directly to the company named in the contract. Reputable contractors will be more than willing to provide you with the names and addresses of customers they have done work for. Ask neighbors, family, friends and co-workers their opinion of any contractor they’ve used in the past. Also check the online reputation of your contractor. In case something goes wrong with your system, it’s always a good idea to make sure that the company you choose has after-sales service capability. Inquire if they have a full service department and ask how many service vehicles they have on the road. Do they respond to calls after 11 p.m. or on weekends? How quickly can they be there if you have no heat? Most contractors have a habit of installing the furnace or air conditioner and then leaving without explaining how to properly operate or maintain the system. This leaves you, the homeowner, with the task of trying to figure out exactly how to reset electronic thermostats and replace furnace filters (which can become quite costly if not done properly). Be sure you receive operational instructions and a person to contact when you have questions.